The menu appears to be a beautiful representation of Bengalis, Puerto Rican and Ecuadorian food along with a wide selection of beer. Located in Central Harlem, it is a short block away from Marcus Garvey Park ~ the site of the Charlie Parker Jazz Festival each August, and the historic Harlem Fire Watchtower, scheduled to return to the Park this summer. 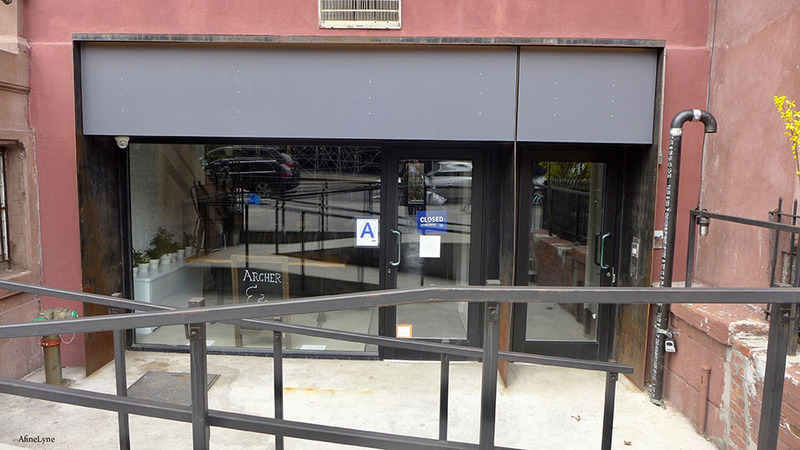 The Amphitheater regularly shares its stage with Jazzmobile ~ free and open to the public, and the Park has a rotating series of art installations via the Marcus Garvey Park Alliance-Public Art Initiative. 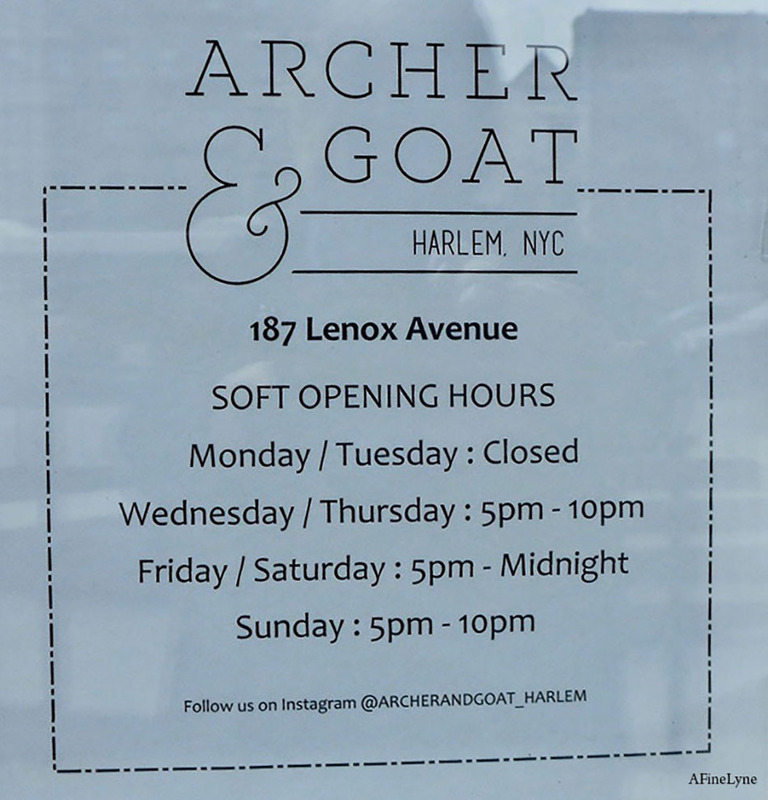 Archer & Goat Harlem is located at 187 Lenox Avenue, between 119th-120th Streets. Soft Opening from Wednesday through Thursday from 5-10pm, Friday and Saturday from 5pm to Midnight and on Sunday from 5-10pm. 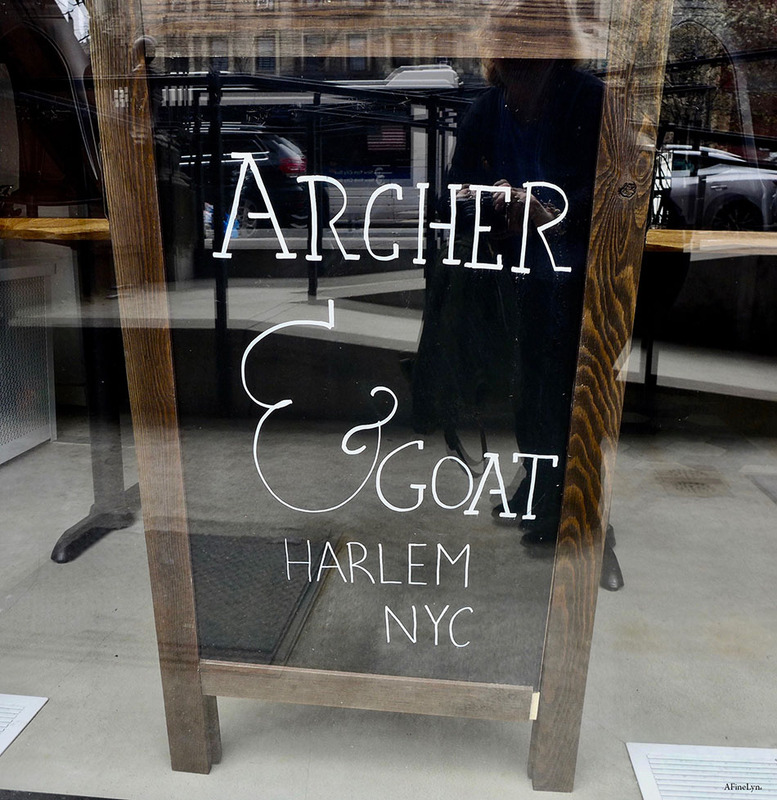 Follow Archer & Goat on Instagram and Facebook. Don’t get lost ~ get a watercolor poster map of Harlem.